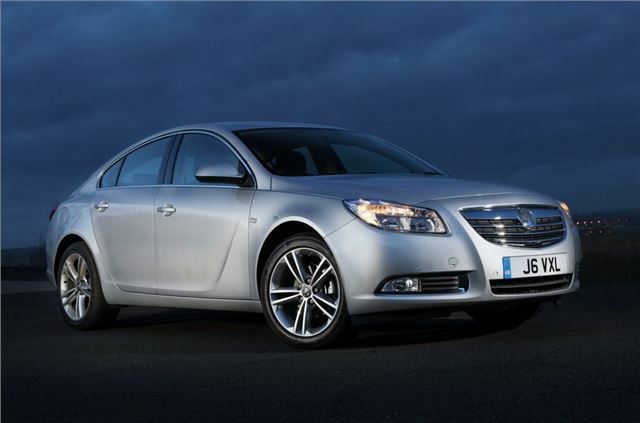 Vauxhall has launched the Insignia BiTurbo - powered by the most powerful diesel engine ever from Vauxhall. With 195PS and 400Nm of torque it's not shy when it comes to performance with a 0-62mph time of 8.2 seconds in the Insignia hatchback, yet fuel consumption is still low as are CO2 emissions. On sale now, the Insignia BiTurbo is available as a five-door hatchback or a Sports Tourer in SRi, SRi Vx-line and Elite trims, priced from £27,120 on the road. Both standard front-wheel drive and four-wheel drive verisons are available. The twin-sequential turbocharged diesel is based on the existing 2.0-litre engine. However, in BiTurbo form the engine produces up to 35PS more power and a significant 50Nm of extra torque. However, thanks to several eco features – including an engine start/stop system, the front wheel drive hatchback version averages a claimed 57.6mpg, 2.2mpg better than the single-turbo 2.0 CDTi 160PS model. CO2 emissions are just 129g/km. Vauxhall’s FlexRide adaptive damping is standard on all Insignia BiTurbos (normally a £790 option on front-wheel drive Insignias). The system reacts in milliseconds to driver inputs and can ‘learn’ how the car is being driven and adapt damper settings accordingly. Drivers can also select Tour and Sport buttons, and configure the throttle, steering and damper settings in Sport mode separately. On four-wheel drive models, FlexRide is integrated with the car’s Torque Transfer Device (TTD) and the electronically controlled Limited Slip Differential (e-LSD). This lets the torque be automatically transferred between front and rear wheels - and between left and right wheels on the rear axle - to improve levels of traction, grip and control.